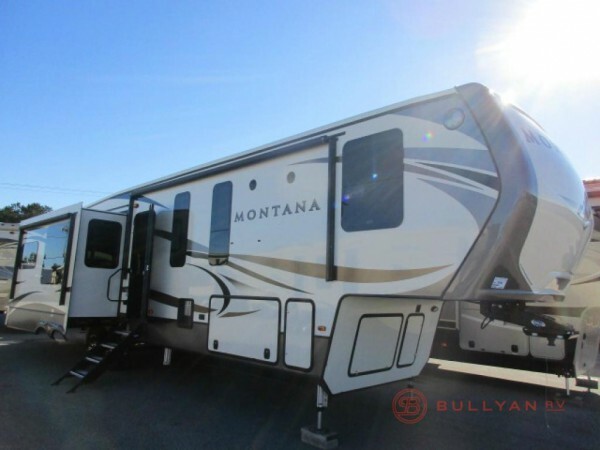 At Bullyan RV, we are proud to offer some of the lowest prices on the absolute top-of-the-line RVs on the market today, including our door-busting deals on our Montana fifth wheels for sale, particularly our 3950BR quad-slide model, now for sale at 30% off the MSRP! This means that you can get this MSRP $82,000 model for only $56,995! Check out our Montana fifth wheel review to get an idea of some of the other reasons that we love this particular model. Check out the beautiful Montana fifth wheel. 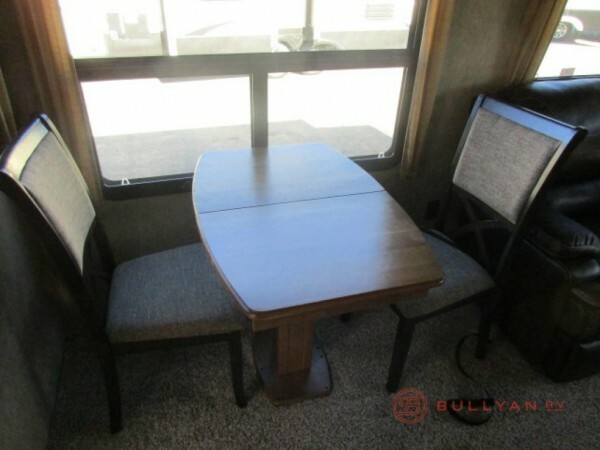 Plenty of space in the Montana fifth wheel kitchen. If you are looking for a way to enjoy the great outdoors even longer, the Montana comes with extra seasonal features to make it easy for you to camp out in any weather. Interior fireplace, residential ceiling fan, and everything in between! All of this makes it easy for you to keep the camping trip going well into winter or summer. Check out some of the other season-specific features. 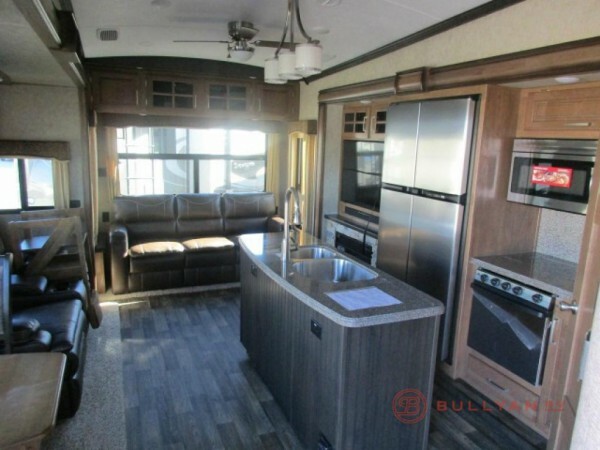 If this sounds like the kind of RV that you have been in the market for, you absolutely should contact us to check out some of our current inventory of Montana floorplans and have all of your questions answered. We are dedicated to providing you with the absolute best service possible, so let us help get you into the RV of your dreams today!